Emerging digital media, information and communications technologies are changing the ways in which we understand and experience time and space, place and body. 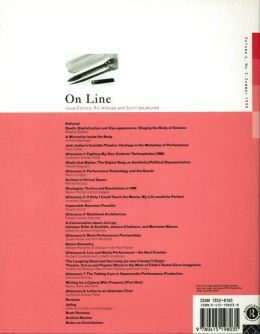 These developments challenge us to redefine existing strategies and forms of performance, and to create fresh approaches and alternative environments for performance making and composition. 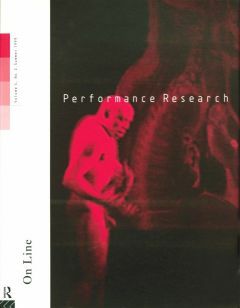 On Line will explore these changing conditions as they relate to performance practice and discourse. The editors invite materials from individuals and groups involved in exploring territories where emerging technologies and performance overlap and intersect, as well as excavations of the histories of performance and technology.